It's hot, mean hot, in Atlanta during August. Somedays we're lucky enough to wake up to a cloudy sky that holds the humidity against the city until late afternoon when the clouds break and we get a quick shower. Today was one of those days. And being forced to wear pant in such weather (our office is always cold) I was dreaming of a cold beverage from the moment I stepped out of the house. 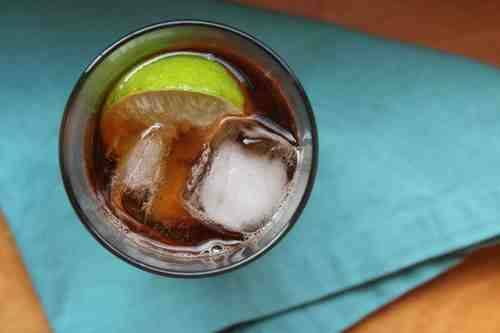 Traditionally a Dark and Stormy is a spring cocktail (you know, May showers?). It's also the national drink of Bermuda and one of the few cocktails with a copyright. You can read more about all that here, because, really, let's get to the drink. Fill a tall glass with ice. Top with rum, followed by the ginger beer, stir gently and enjoy.